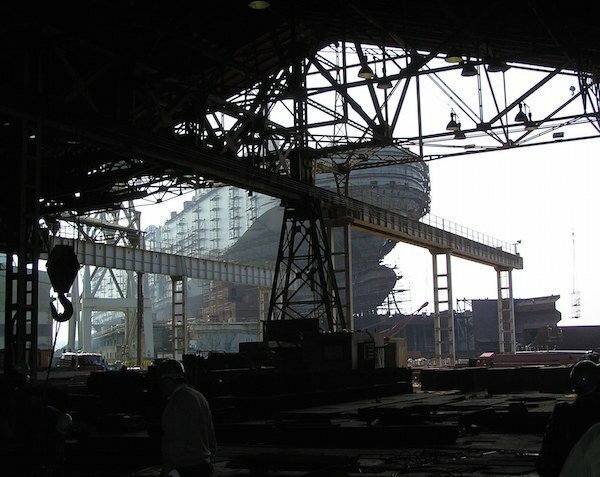 The president of financially troubled Croatian shipyard Uljanik, Gianni Rossanda, has resigned as the ongoing worker strike at the shipyard over unpaid wages continues. According to Uljanik, Rossanda has quit from all the roles at the company and its subsidiaries. “I did not want to block the functioning of this complex system from which the workers are rightly expecting a solution to the current problem, but also a long-term solution to the issue of shipbuilding,” Rossanda said in a statement. Around 4,500 workers of Uljanik started a strike last week, demanding top management step down in protest over the late payment of their salary which has yet to be paid from last month. The Croatian government has also stepped in to look for a solution to the issue. “We will thoroughly explain to Uljanik workers and ultimately to the county of Istria and town of Pula, the current state of Croatia’s shipbuilding and which way to move on, as this industry evidently has difficulty in sustaining itself. That’s why we are looking for a solution which will be legal, sustainable and useful for workers,” said Andrej Plenkovic, prime minister of Croatia. Uljanik has been suffering a financial crisis in the past few years. In March, Uljanik chose local company Kermas Energija as its strategic partner for a recapitalisation plan, which is still waiting for approval from the European Commission.